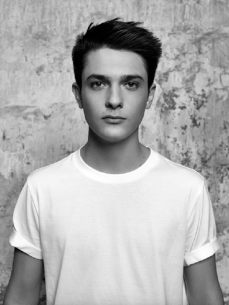 Kungs (pronounced « Koongs ») (aka Valentin Brunel) is a 19 years old producer from the south of France. He started his musical career with a djembe gifted by his parents to him at the age of five. From these early days Valentin could spend entire afternoons listening to Rock’n’Roll classics with his father. From The Who to The Kooks with many in-between, this essential listening forged the first steps to Kungs inspiration as an artist. Shortly after his first experiences with a digital production software, Valentin was sharing remixes across the board of online social networks. His remix of Bob Marley - ‘Jammin’ and Lana Del Rey ft Molly - ‘West Coast’ both boast several million plays on Soundcloud & YouTube. After a few unofficial remixes, official remixes requests were around the corner. From Axwell & Ingrosso to Lost Frequencies, Kungs quickly became a key remixer for the other DJ producers. Kungs’s remix of « Are you with me » counts now more than 16 million views on Youtube and 65.000 fans are following his Soundcloud page. Simultaneously, his first original track “To Describe You” became available. This collaboration with Mozambo featuring Molly instantaneously hit the million plays on Soundcloud. With early support slots with significant acts from many aspects of the melodic house landscape such as Kygo and Klingande, Kungs has quickly formed into a well established artist in the scene today with a tendency to provide driven and impressive production and live sets. In January 2016, Kungs traveled the European continent alongside David Guetta in order to ensure seven times the warm-up of his Listen Tour.